Tween Tuesday is a weekly meme hosted here at GreenBeanTeenQueen to highlight great reads for tweens and middle grade readers. Join the fun and post the link to your Tween Tuesday post below. About the Book: Matt Cruse is a cabin boy on a huge passenger airship (think the Titanic in the sky). One night while he is on duty, his ship intercepts a small one person airship carrying an old man. The old man's ship has been badly crashed and beaten and as the man is dying, he tells Matt of beautiful creatures who were flying in the sky. Everyone thinks the old man is crazy and Matt isn't sure what to think. A year later when the man's granddaughter shows up claiming she has her grandfather's journal and she wants to find the same beautiful creatures, Matt finds himself on a action packed adventure. Are the creatures real? And can Matt and Kate find them? GreenBeanTeenQueen Says: Airborn is such a great read! (Or in my case listen, since I listened to the audiobook). But no matter how many times I booktalk it, tell my teens about it, and try to really sell it to readers, it still remains a hard book to convince them to take. I'm not sure if that's because the old cover which we have in the library and maybe the paperback cover is helping to remedy that. I often describe this book as Treasure Island meets Around the World in 80 Days which sometimes will get a reader's attention. With the rise of steampunk, I could see readers looking for more in the genre and picking this one up. But if you can find a way to get this into reader's hands and get them to read it, they'll love it! Once I've convinced a reader to pick this one up, they come back raving about it. There's action, adventure, mystery, romance, pirates and strange creatures in the sky. I loved the audiobook because it was done by Full Cast Audio so each character had a different voice and it really made the book feel like a movie. Airborn would make a great classroom or family read aloud because there is something for everyone in the book. It gives such a great nod to the old classic adventures that readers of all ages should enjoy it. There are two sequels so Matt and Kate's adentures do continue, but Airborn wraps things up nicely that it can be read on it's own. Airborn is a perfect all ages adventure story that will excite readers and leave them wanting more. Oh the Airborn trilogy is fantastic. I love the characters of Matt and Kate and their banter with each other. I listened as well. It was just wonderful, but I haven't had a chance to get to the second and third books. I thought of Leviathan as a pairing as well, but never thought Treasure Island! But yes! I just happened to listen to Treasure Island a week or so back. Due to circumstances, I've had this in my possession at least 4 times. Each time I fail to read it. Even though I'm interested. MUST try it soon! Great review! I LOVE Airborn, and I loved the audio version. Matt Cruse is totally one of my literary crushes! 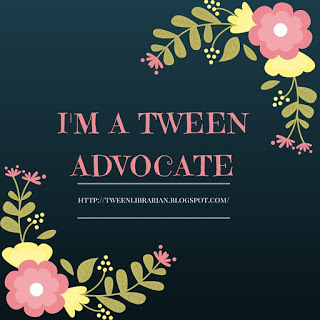 My Tween Tuesday is the Call and can be found here. I hadn't heard anything about this one, so I'm soooo happy you shared it. I know some boys that I would hand this one to for sure!!!! Sounds unique. Makes me think of Sci Fi or Steampunk. Good for boys. I'm not a tween or teen but you've won me over. I've added the book to my wishlist. Love this book! Glad you liked it! I have not heard of the term "Steampunk" before. Please explain! Deana-Steampunk refers to taking a time period and adding technology into it that they wouldn't neccisarily have-like airships in Victorian times. It's a growing genre and there are some great steampunk books out there! 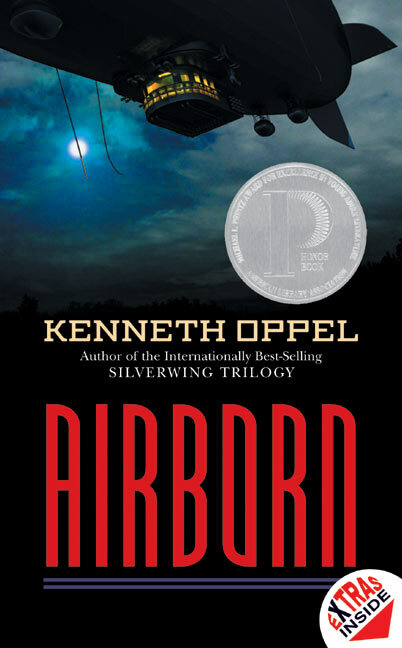 Airborn is one of my favorites and Leviathan by Scott Westerfeld is also great. I have never heard of the term Steampunk before. Please explain...thanks!